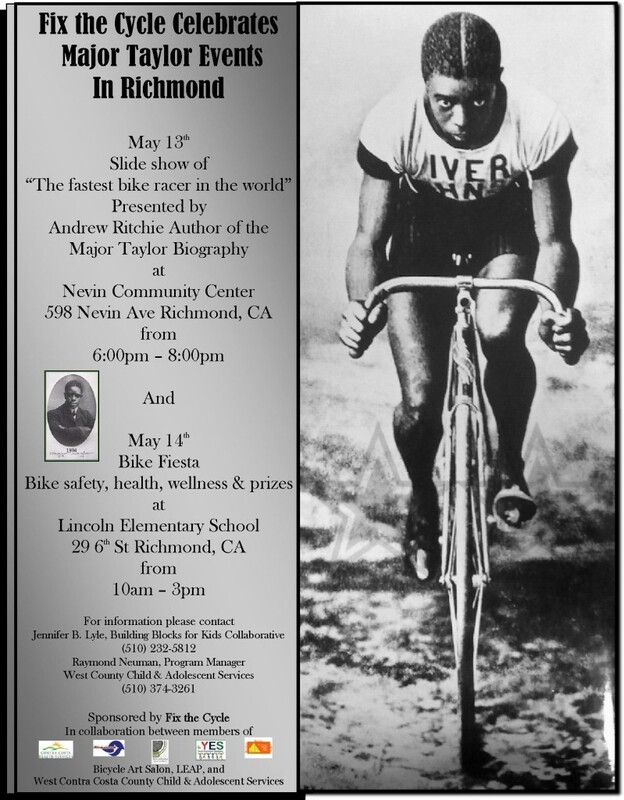 Cyclcide and Fix the Cycle of Richmond CA celebrated Major Taylor with a Bike Fiesta to promote cycling and community health. of community members and orgs. 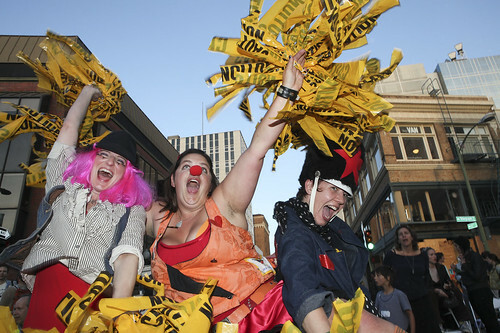 It’s the best part of bike to work day… leaving work to party with Cyclecide! The 2011 East Bay Bicycle Coalition Bike Away from Work Party took to the streets in Old Oakland, featuring, Cyclecide , the Big Tadoo Puppet Crew, The Bay Area Derailleurs, and The Muddy Roses. We had a great time in Dearborn at the Henry Ford Museum for Maker Faire with the Life Size Mouse Trap. ACE Auto Dismantlers, and with it the glorious ACE International Speedway, has been closed down forever. BUT ONLY IN PHYSICAL FORM! The frantic energy and magical chemistry that powered the spirit of the Junkyard LIVES ON! Join us to celebrate this landmark, and Bill The Junkman himself. Bill empowered countless artists by sourcing them “junk” from his collection, and he provided a place for an unreal number of events, including The Power Tool Drag Races. The event features an exhibition Power Tool Drag Race!! Plus, performances from Los Banos, Translator, Tiger Honey Pot, Big Daddy DJ’ing, Neverwas Haul, Calliope, Monkey Canon… and MUCH more!! Trailer screens at 9:00 pm sharp! 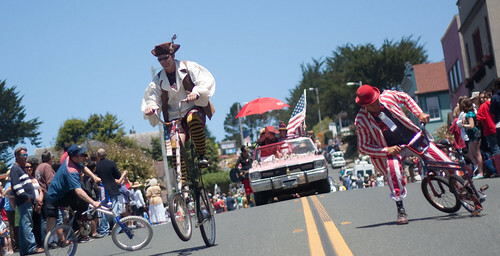 Back by popular demand, Cyclecide celebrated 4th of July in the beautiful coastal town of Point Arena. Saturday June 5th Cyclecide returned to Artfest in the Bayview district of San Francisco at Art94124 on Fairfax st. at 3rd st. Thanks to everyone that partisipated in the 2010 bay area Maker Faire. Cyclecide was on hand at the finish line of Saturdays main race. The Quake City Rumble is an annual race hosted by the SF Bike Messenger Association, dedicated to showcasing the city to the greater messenger/cycling community. The QCR began in 2003, it’s as much competition as it is celebration of the life and times of the SF messenger. The proceeds from this years QCR go directly back into the community via the Broken Bones Fund, a memorial fund established to help injured messengers when they need it most.